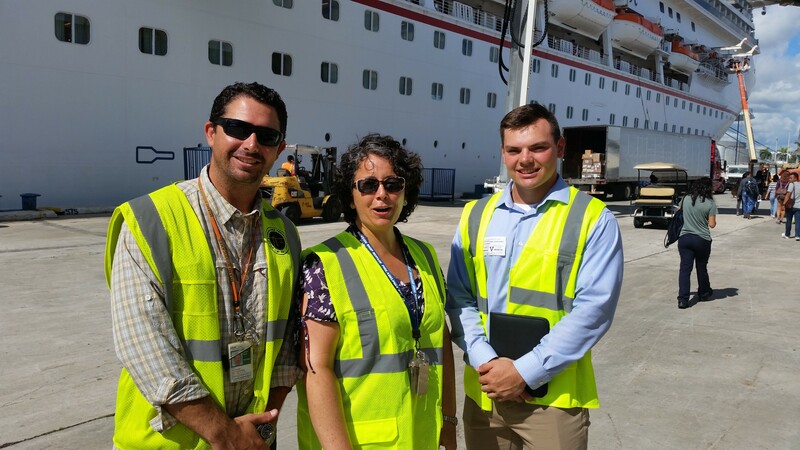 We kicked off the week on Monday with a tour of Port Everglades. Anna brought me there to meet with Eric Alexander, cruise/container ops manager at Port Everglades Terminal, for a behind-the-scenes look at the inner workings. 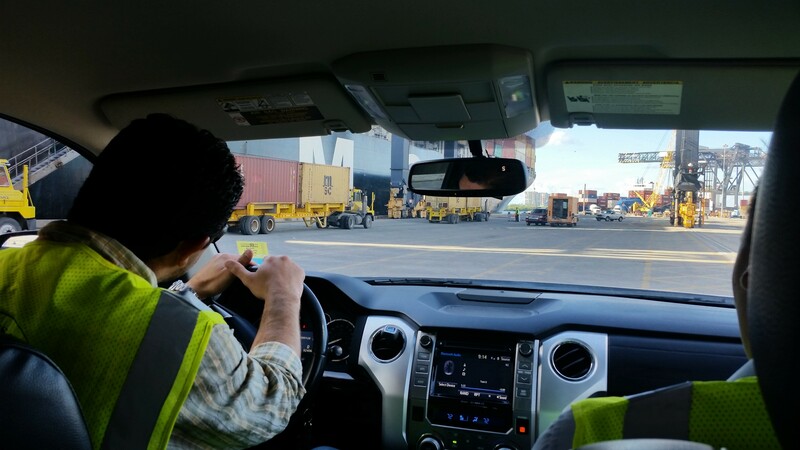 Eric drove us around the port explaining how container on-load/off-load is conducted and what machinery is used. I learned that Port Everglades is one of the top three cruise ports in the world and is among the most active containerized cargo ports in the U.S.
We also observed stevedore work and I learned about the different stevedoring positions at Port Everglades. Throughout the day, Eric introduced me to several employees at the container and the cruise ship terminals. Anna knew, or has worked with many of them, so it was an opportunity for her to catch up with them. We then learned about cruise ship on-loading and off-loading of cargo and passengers. The port is a very busy place with a lot of hardworking men and women operating all kinds of machinery and fulfilling many different responsibilities. 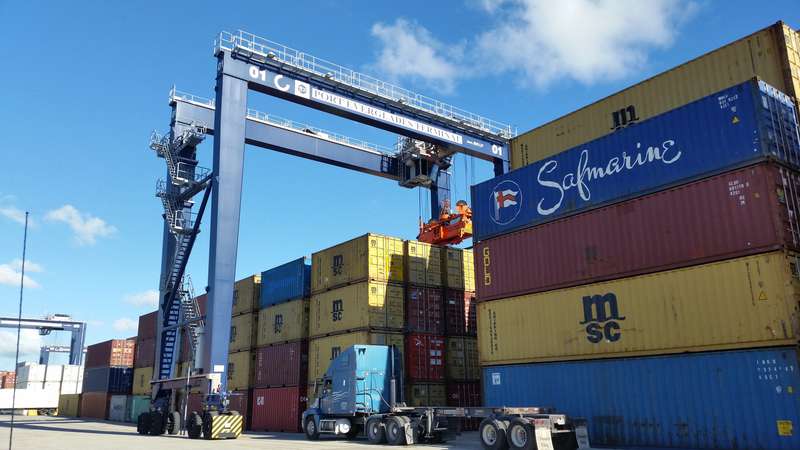 Along the tour we would periodically discuss other topics such as port security, future goals the port wants to meet and the ever expanding technology involved with operating Port Everglades. We still have several more days of work ahead of us this week. Stay tuned!